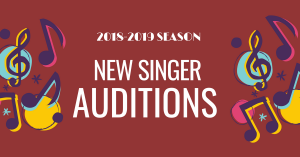 Westminster Chorale, now in its 34th season, seeks applicants for the 2019-20 concert season. Employment will begin July 1, 2019. The Executive/Artistic Director, working in close consultation with the Board of Directors, is responsible and accountable for leadership, artistic operation, and musical development of the 30-50 voice Chorale. Organizational skills including volunteer management, non-profit management, and marketing development. Compensation and Benefits: Salary for this part-time contract position is commensurate with experience. Please be advised that another (primary) source of income will be necessary. Applications are due March 1st, 2019 and candidates will be selected for interviews.